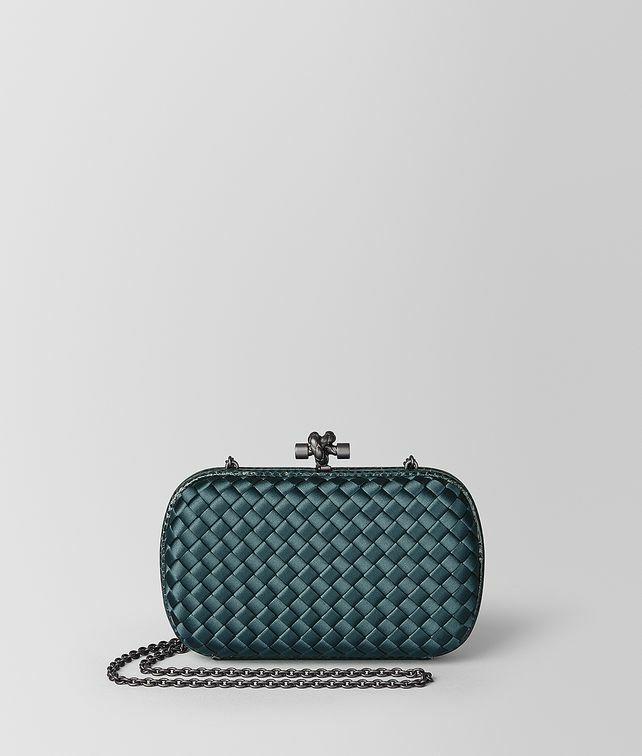 The Chain Knot is a larger version of Bottega Veneta’s iconic Knot minaudière, which comes with a chain strap. This elegant interpretation is crafted in flawlessly woven silk and trimmed with ayers leather for a striking combination of textures. Finished with a suede-lined interior and brunito knot fastener engraved in signature intrecciato.